Washington State has legalized recreational marijuana for those over the age of 21. Residents can obtain marijuana, legally, at their local dispensary without facing prosecution or charges for possession or purchase. However, some prefer to have their drug of choice delivered to them, which circumvents the protocols the state has put into place requiring that consumers present proper identification to verify their age. How can they do this? Some Washington residents have taken to one particularly clever method of gaming the dispensary. A recent trend that has popped up in Seattle is hiring delivery services to purchase marijuana from a dispensary and bring it to the client. Police caught wind of this trend, and began a sting operation to put it to an end. Seattle Police Department set up a sting, posing as buyers and asking for pot delivered to a motel room. Officers made several arrests over the course of one day. Fortunately for their suspects, the police faced a point of contention with the prosecutor. The prosecutor declined to prosecute, citing that the activity from the sting was “unwarranted” and “disproportionate to the harm caused” and overall “would have little or no impact on the delivery business in Seattle.” The suspects of the marijuana delivery sting would have faced felony charges, had they been prosecuted. In light of the situation, Seattle has begun efforts to try to either reduce illegal deliveries, or implement a service of its own. Efforts to shut down illegal deliveries are backed up by claims that these services unsanctioned by the state, and undermine the legal industry that is in place. On top of this, some of the delivery services offer harder drugs than just marijuana. One of the suspects arrested in the sting was carrying Oxycodone, affirming police fears that more drugs can be carried by these delivery services. Seattle Mayor Ed Murray worked to push a bill forward that would introduce a pilot marijuana delivery program through the state, legally delivering users their favorite strain, however the legislation did not pass. Both sides of the debate want the same thing: to put a stop to illegal deliveries and trafficking. While Washington may have taken a step forward to decriminalize marijuana for recreational use, in New Hampshire, the laws regarding the drug are quite a different story. Marijuana possession in New Hampshire, even less than an ounce, can mean up to 3 years in prison, and skyrocketing fines up to $25,000. 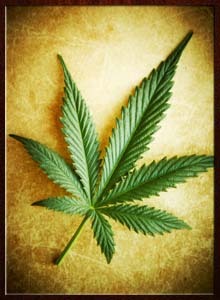 Possession of over an ounce can lead to 7 years in prison and fines up to $100,000. These sentences are clearly much more severe than those in Seattle, and are not a laughing matter. Even possessing small amounts of pot is changed in NH as possession of controlled drugs and is a Misdemeanor offense. If you or a loved one has been charged with marijuana possession or distribution in New Hampshire, don’t waste time. You will want an experienced attorney who knows how to handle drug charges, and who will work to get you the best possible outcome. Contact the NH criminal defense lawyers at Tenn And Tenn today. Tagged: Marijuana Possession and Possession of Controlled drugs in NH.